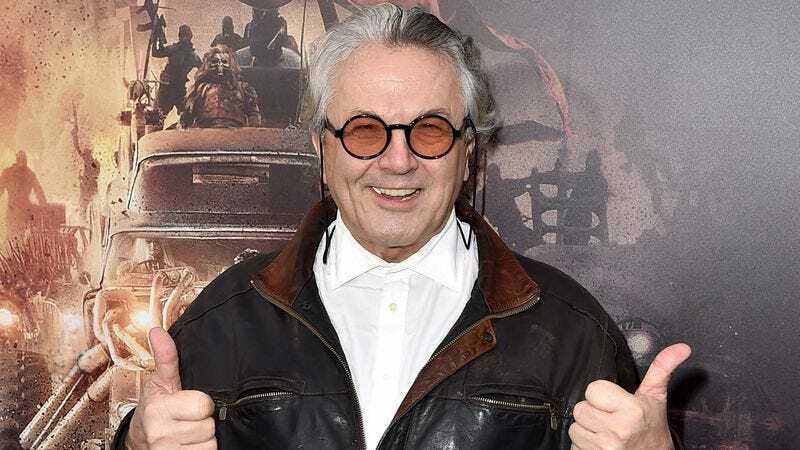 This has been a big, probably pretty vindicating year for Mad Max mastermind George Miller. Not only has the newest chapter in the saga, Mad Max: Fury Road, been receiving the sort of awards attention that’s normally reserved for ”serious” films— i.e. films that don’t have masked stuntmen strapped to giant walls of amplifiers with bungee cords in them—the film’s success has given Miller the opportunity to make more Mad Max movies, ones that will hopefully take less than a decade to finish. Now, Miller can add one more feather to his chrome-plated cap: According to Deadline, Miller has been named the president of the jury for this year’s Cannes Film Festival. As president, Miller will lead the discussions over who will win the prestigious Palme d’Or award, along with “other duties” during the festival this May. Based on Fury Road’s feminist message, presumably those duties will include liberating the women of Cannes from the foot-mangling tyranny of the festival’s “no flats” policy, scrawling the words “NO MORE BUNIONS” across the walls of the Palais.